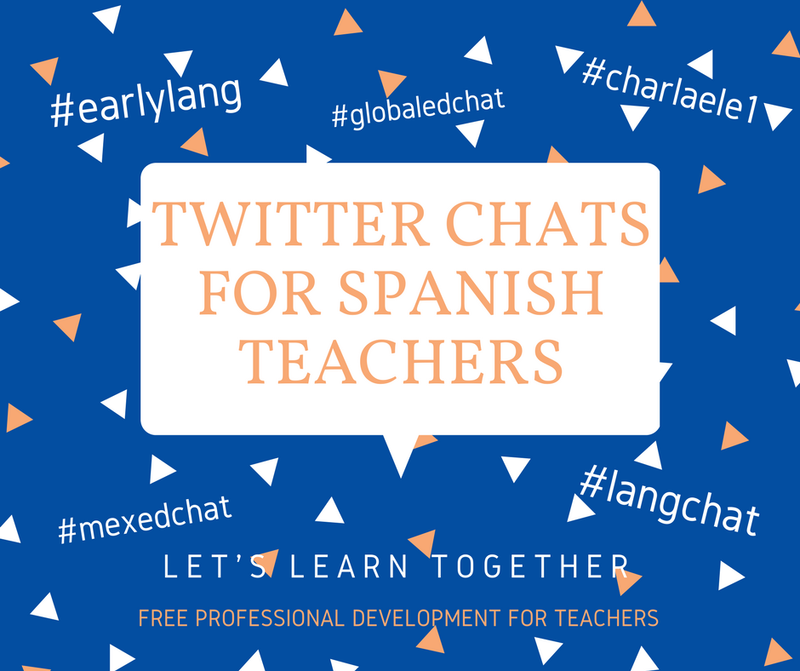 Are you looking for free professional development for Spanish teachers? I have put together a list of fantastic resources- at no cost!- so you can up your game in your Spanish classroom. 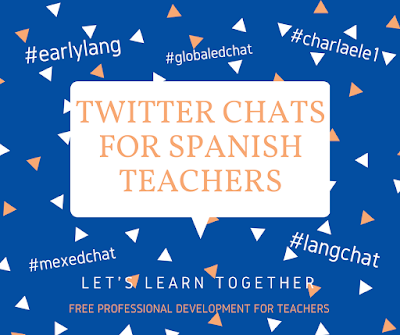 From twitter chats, to podcasts, essential Facebook groups and the best books to read: learn how rockstar teachers are teaching Spanish proficiency in their classes, see their proven techniques and activities, and collaborate and make connections with teachers around the world. The Q1, means it's the first question. So when you answer, you should include an A1 (answer 1, or whichever question you are answering), plus the hashtag. Don't forge the hashtag, or everyone who is following will miss your tweet :). Podcasts were my new favorite thing the past few years!!! I listen when I take my daily walk, or when I am driving, or when I am cleaning up, or cooking dinner... you get the idea. You can just have them playing in the background or on your phone- I learn SO MUCH!!!!! Beware- you will have so many "driveway moments"- where you get home from your walk and want to turn it off to start grading or playing with the kids..... but it has sucked you in and you have to listen to the end. Once you find one you love, subscribe on itunes or wherever you listen to podcasts. The specialized podcasts below offer incredible professional development for Spanish teachers! Cult of Pedagogy. This is my all-time favorite, general podcast for teachers. I absolutely love hearing the perspectives of other teachers, and learning about "Frickin' Packets," Educator Masterminds, or Self-Care for Teachers. 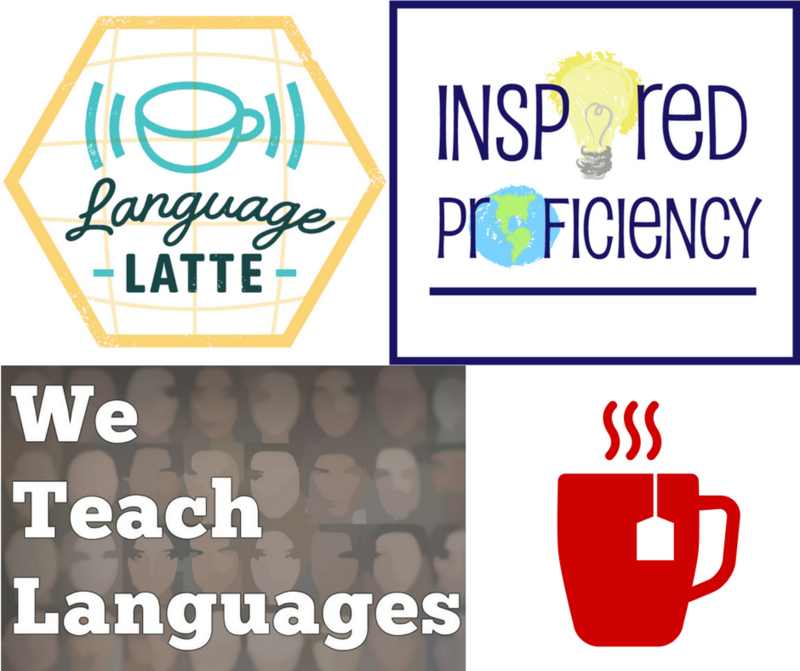 Language Latte: A Conversation about Teaching World Languages. Topics include everything from getting students to speak in class, to reaching early language learners, to tech tools for language educators. The Language Latte facebook group for world language teachers chats about best practices, methodology, fun activities, and tips to help your students become more fluent and reach proficiency faster. Full disclosure: this is me!!!! :) I started the podcast because I am currently teaching and living in Mexico and need to keep up with current research and best practices. I am having so much fun with this and love meeting language teachers around the world (let me know if you have an idea or want to be on the show!). Inspired Proficiency, from Desk Free with Profe Ashley. Topics include establishing a target language environment to using interpersonal activities in class. Great ideas and take aways for language educators- her games at the end of each episode are super fun!! We Teach Languages is a podcast that explores language teaching from the diverse perspectives of real teachers. Recent topics include thematic units, multiliteracies, and welcoming new arrivals. Even though Tea with BVP isn't adding new episodes, the archives offer a treasure trove of resources for language teachers. Topics include fossilization input processing, and the role of feedback. He will start at a new show August, 2018,"While We're On the Topic." The Musicuentos Black Box "is a collection of 12 videocasts designed to address a great disconnect in world language teaching: the lack of effective communication between researchers investigating how people learn language and the teachers working to help those people develop communicative language skills," developed by a team of five world language educators. Radio Ambulante is fabulous to keep up with your Spanish while listening to fascinating stories and current events. What is the advantage of Facebook groups? INSTANT answers to your questions :). If you want to figure out a better way to review vocabulary, or deal with assessments, or learn about new techniques: join one (or all!) of these Facebook groups and ask new and experienced teachers how they handle certain situations in their classroom. The invaluable advice has pushed me to incorporate totally new ideas that I never would have thought of. I absolutely feel a part of the Spanish teacher community and consider many of the frequent posters as my friends. 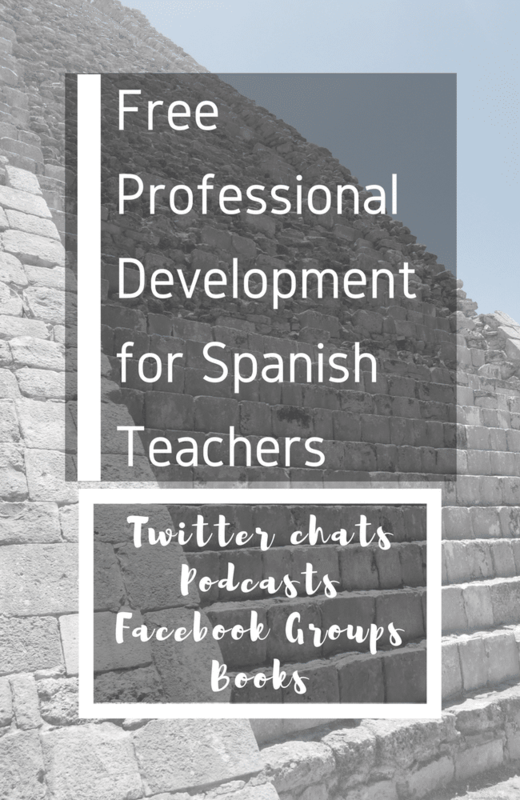 Especially since I live abroad and cannot get to as many conferences now, I consider Facebook group to be more than just a social media tool: it is a tool for professional development for Spanish teachers. This post is about FREE professional development for Spanish teachers, and often these books are available at your library, in your department or school, or even through an interlibrary loan at a local university. These are guaranteed to give you a different perspective in your classroom, using effective techniques to engage more students, and get more organized. Teach Like a Champion, 2.0: Techniques that Put Students on the Path to College. This best-seller by Doug Lemov shares techniques for classroom management, students engagement, and tips from top teachers around the world. The Cornerstone: Classroom Management That Makes Teaching More Effective, Efficient, and Enjoyable Paperback. By Angela S. Powell, this books helps you organize your classroom and lessons, stay on task, and reduce burn-out. The First Days of School: How to Be an Effective Teacher Paperback. Harry K. Wong,‎ Rosemary T. Wong have sold 4 million copies of this, the best-selling book ever on classroom management and teaching for student achievement. "The book walks a teacher, either novice or veteran, through structuring and organizing a classroom for success that can be applied at any time of the year at any grade level, pre-K through college." The Global Education Toolkit for Elementary Learners by Homa Tavangar and Becky Morales give us hundreds of easy, stand-alone activities, resources, and projects to teach kids all about culture and global awareness in any class: service projects, #edtech collaborations with schools around the world, activities for cultural fairs, and more. The World Language Daily Tech Guide. 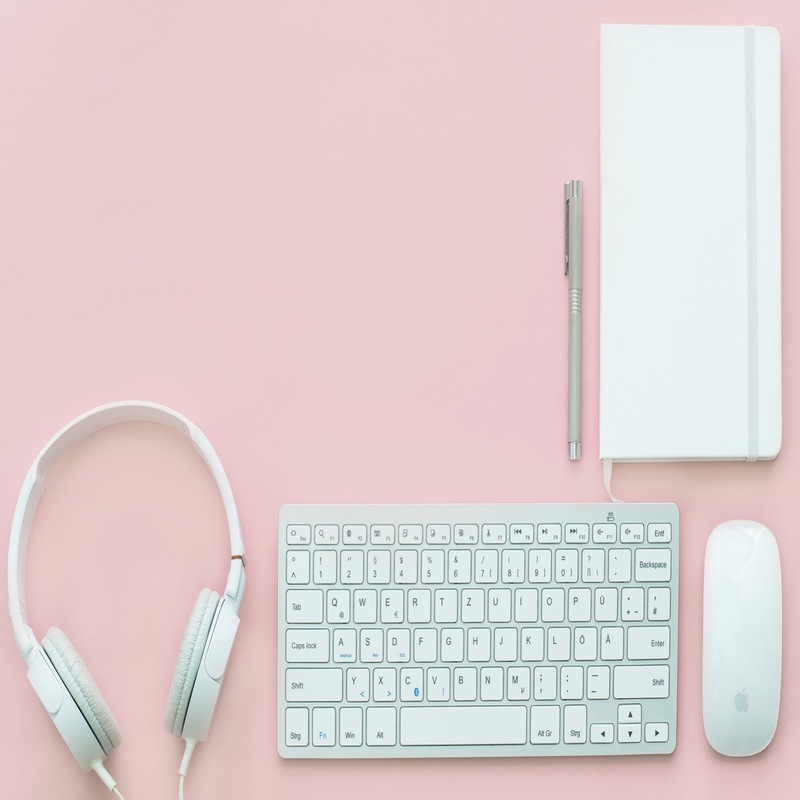 Ellen Shrager shares how technology can help you support the 90% target language goal from ACTFL for all levels including the most challenging. The Language Teacher Toolkit. 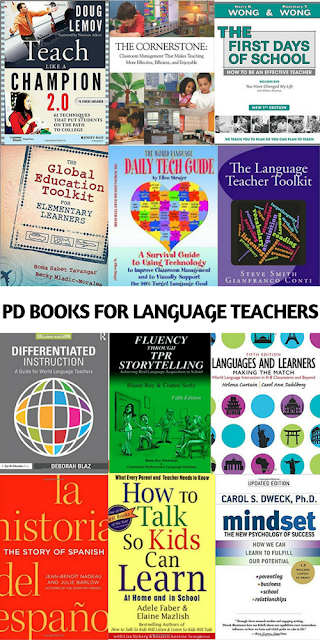 Steven Smith‎ and Gianfranco Conti offer practical activities for the world language classroom that are detailed and researched-based. In Differentiated Instruction: A Guide for World Language Teachers (Eye on Education Books), "author Deborah Blaz helps you differentiate lessons for your world language students based on their learning styles, interests, prior knowledge, and comfort zones." Fluency Through TPR Storytelling Paperback, by Contee Seely and‎ Blaine Ray will either be the definitive introduction to TPRS for you, or a great refresher course. Languages and Learners: Making the Match: World Language Instruction in K-8 Classrooms and Beyond by Helena I. Curtain and Carol Ann A. Dahlberg is an introduction text to teaching world languages. Fantastic for *new* teachers who want to review or learn more before they get into the classroom. How To Talk So Kids Can Learn Paperback by Adele Faber and‎ Elaine Mazlish is similar to the other books in the series (which I love!) except it focuses on reaching kids in the classroom. If you want to build better relationships with your students, this is a great place to start. The Story of Spanish. In this fascinating books, Jean-Benoit Nadeau and Julie Barlow present the history of the language. I love linguistic history and evolution, and love that this book brings it right to the present time. I always teach kids a bit about the history of Spanish, and they are usually surprised and excited to learn. In While We're On the Topic: BVP on Language, Acquisition, and Classroom Practice, "Bill VanPatten addresses principles related to the nature of communication, the nature of language, how language is acquired, the roles of input and interaction, tasks and activities, and focus on form ("grammar")." What free professional development for teachers have I missed? Is there a Facebook group I should belong to? A book I should be reading or a podcast I should be listening to? Leave your favorite free resources in the comments, so we can all learn from each other! Thanks for reminding me of all the free PD options that I can do from home. Now I definitely don't feel guilty for turning down or not being able to attend some of the PD sessions this summer. Summer is a chance to recharge and I definitely need it. I know it's an old post, but I love this! 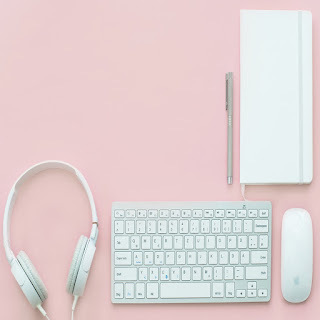 I've been meaning to put together a list of free PD that includes online events offered by publishers, language centers, etc., especially focused on topics that are relevant to MS and HS teachers. I'd be happy to be a guest blogger for a sequel to this original post. Let me know!